$3.1B - Uber acquires Middle Eastern ride-hailing firm Careem for $3.1B; Uber is paying $1.4B cash and $1.7B stock; Careem will be a wholly-owned subsidiary of Uber; Careem co-founders Mudassir Sheikha, Magnus Olsson, and Abdulla Elyas will remain with the firm; raised ~$770M to date. 250M - number of players that Fortnite has reached. 8.74% - Lyft debuts on the Nasdaq; the company priced shares at $72 and closed first day of trading at $78.29, up 8.74%; Lyft raised $2.34B with the offering, which valued the company at $24B. Amazon is developing a free, ad-supported news video app for Fire TV; the company plans to include live and on-demand content from multiple news sources, and has approached organizations about distribution deals. Google launches AMP for email, bringing its fast-loading Accelerated Mobile Pages standards to Gmail; Yahoo Mail, Outlook, and Mail.ru support the tech; Booking.com, Pinterest, and other companies will use AMP in their emails to users; AMP for email enables dynamic and interactive emails. Gmail updates its iOS app with the ability to customize swipe gestures; gives users the option to set two of five actions when swiping left or right: Archive, Trash, Mark as read/unread, Snooze, and Move to; rolling out now. Gmail is removing specific functionality from API integration platform IFTTT; changes to Gmail APIs will see several IFTTT applets turned off; includes “New starred email in inbox” and “Create a draft”; applets for sending emails to self and predetermined addresses will remain. Google releases Chrome 74 beta; supports Windows dark mode, as well as motion and animation preferences for users susceptible to motion sickness. Google’s online store leaks information about unannounced product Nest Hub Max: a 10-inch smart display with integrated Nest camera; alerts the user when motion and sound are detected; also supports Duo video calls. YouTube TV streaming service is now available in all US TV markets; $40-per-month subscription provides access to live news, sports, and shows; also offers DVR features. Alphabet’s urban planning and smart city business Sidewalk Labs launches CommonSpaces, an app that enables park operators and other officials to collect feedback from community members; designed for simple data export — for visualization, insights, etc. BBC pulls its podcasts from Google; BBC says Google does not share enough user data and is also supposed to have a license; BBC podcasts are no longer available via Google Podcasts, Search, or Home devices. Spotify begins testing Premium Duo, a subscription plan aimed at 2 users; priced at €12.50/month; both users must be based at the same address; includes Duo Mix playlist, which is based on a pair’s listening habits. Spotify acquires Los Angeles-based podcast content firm Parcast; Parcast offers story-based podcasts such as “Serial Killers,” and “Unsolved Mysteries”. 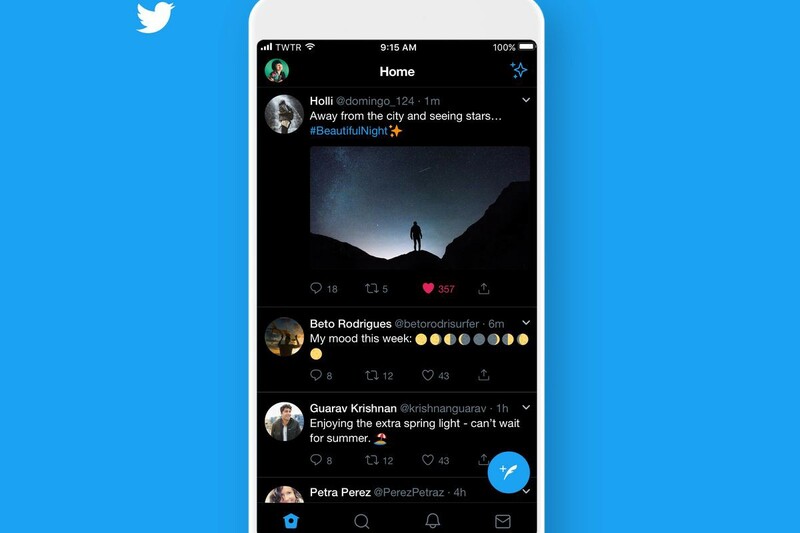 Twitter updates Dark Mode for its iOS app; adds a Lights out mode which only activates required pixels on OLED displays; previous Dark Mode remains (now referred to as Dim); rolling out now. Atom Tickets, which provides iOS and Android apps for digital movie tickets, announces Atom Movie Access: a platform enabling movie theaters to create and operate movie subscription plans; supports existing Atom features like seat reservations, friend invites, more. Mailchimp acqui-hired Shopify competitor LemonStand shortly before terminating app integrations with Shopify; LemonStand announced that it would shut down on June 5; the team is now working on e-commerce features for MailChimp. BitTorent to relaunch its defunct TV service, BitTorrent Live, as a social app; currently accepting applications for beta testers; the app will enable users to share their content with those who share tastes; will no longer offer TV content; Live retains its decentralized, peer-to-peer network. Huawei partners with South Korean fashion firm Gentle Monster to develop camera-free smart glasses; lets users make and receive calls and access a voice assistant; price unknown, expected to launch in June or July. Lyft announces Driver Services; provides financial incentives for drivers, including fee-free bank accounts and debit cards with rewards, rental car discounts, more; the company will open maintenance centers where drivers can get reduced rate repairs and washes. China is set to implement time restrictions on TikTok (aka Douyin) and other short-form video apps; the Cyberspace Administration of China says from June such companies must add a “youth mode,” which will restrict how much content is viewable in a single day; TikTok says its own app will also be unusable between 10 PM and 6 AM. TikTok owner ByteDance acquires the assets of defunct Brooklyn startup GeoGif; GeoGif created animated, location-specific stickers and overlays for videos; features will integrate with the TikTok short-form video app. Xiaomi CEO Bin Lin shares a video of a 100W fast charger which promises to provide full power to a smartphone in 17 minutes; time-lapse video compares the charging speed between an unnamed Xiaomi device and a fast-charging Oppo phone; by the time the Oppo device has reached 65% the Xiaomi smartphone has fully charged. Nintendo plans to launch two new Switch models this year, an entry-level version without detachable Joy-Con, and a second model including premium features aimed at avid gamers; expected announcement at E3 in June. 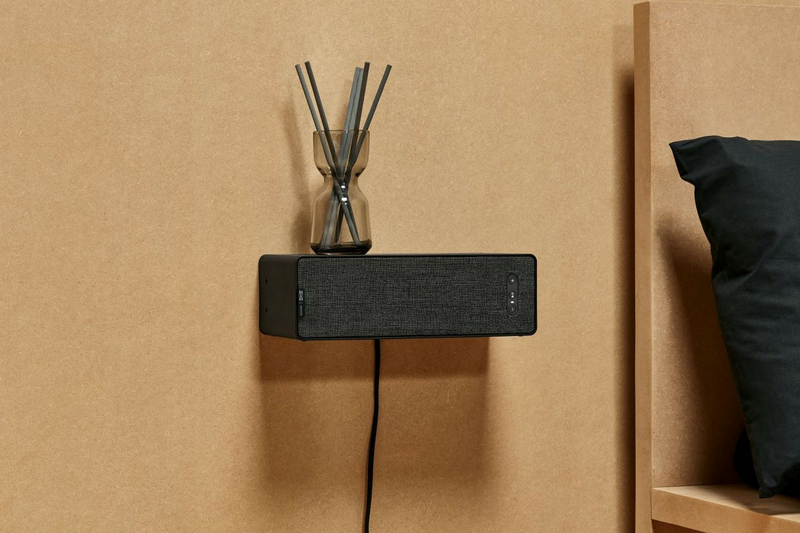 Ikea showcases its upcoming Sonos-powered shelf speaker; known as Symfonisk, the speaker can be placed in a vertical or horizontal position; an official launch is expected April 9. The EU approves changes to its copyright laws; known as Copyright Directive, the new rules will let publishers demand payment from content aggregators; platforms will also be required to prevent the sharing of copyrighted material. News+, a $10-per-month subscription service that adds full issues of 300-plus magazines, newspapers, and digital publications to the News app; articles are designed specifically for iPhone and iPad, with different layouts depending on the screen; newspapers include The Wall Street Journal and Los Angeles Times; no tracking for ad targeting; subscription includes Family Sharing. Apple TV+, an ad-free, on-demand subscription service offering original, exclusive programming; accessible via the TV app. Steven Spielberg, Reese Witherspoon, Jennifer Aniston, Steve Carell, JJ Abrams and Oprah Winfrey appeared to announce original content. Apple TV Channels, offering bundles from numerous cable and online providers for ad-free, on-demand, and offline viewing; redesigned TV app provides personalized recommendations, notifications for sporting events, a dedicated Kids section, more; TV app update rolling out in May and coming to Mac this fall; will also launch for smart TVs. Apple Card, a virtual credit card fully integrated with Apple Pay; uses ML to display friendly merchant names rather than codes; organizes purchases in categories for expense tracking, budgeting, etc; Daily Cash rewards; works anyplace that accepts Apple Pay; also announced a physical card for places that don’t support Apple Pay; launching this summer. And this week Apple rolled out iOS 12.2; includes Apple News+, new Animoji, Apple TV control via iPhone/iPad Siri, and more. Apple also canceled the AirPower wireless charging mat following launch delays, citing an inability to match company standards for hardware products. 5 Rules for integrating UX with Agile and Scrum. Jeff Gothelf shares 5 musts to succeed in driving focus to deliver great user experiences. An MVP needs to actually be viable. Popular article by Patrick Thornton highlighting what he considers essential characteristics of an MVP. Do you agree? As your team gets bigger, your leadership style has to adapt. Facebook’s Julie Zhuo shares valuable pieces of advice for anyone experiencing significant team growth or increase in role responsibilities. Agile transformation successes and failures. Through the examples of Microsoft, Amazon and General Electrics, Steve Denning gives practical examples of do’s and don’t’s when embracing Agile in large organizations. A key element in failure is making it purely top-down. The elephant in the Agile room. Should decision-making be decentralized to the team, or be owned by the PO? Is Scrum just “faster Waterfall”? Should POs try to maximize ROI? Charles Lambdin aims at some complex questions in a recent discussion-provoking article. Google’s rebooted robotics. Google principal scientist Vincent Vanhoucke is overseeing a division known as Robotics at Google; Vanhoucke and his team are working on robots that utilize machine learning.